Photo Courtesy of Gardner Architecture, a Martin Design Company. Tom Gardner, architect of record. In 2006, the Hardin County Conservation Board was awarded a Transportation Enhancement project award to build a scenic overlook. The Sac & Fox Recreation area covers 106.2 acres filled with hiking, hunting, wetlands, and wildlife. Within this area is the Sac & Fox Scenic Overlook which provides excellent views of the Iowa River, migrating birds, and is the perfect spot for a picnic. An award of $300,000 was met with a match of $133,900 to fund a roadside overlook. The project was designed by Martin Design and the work was completed by Wicks Construction. 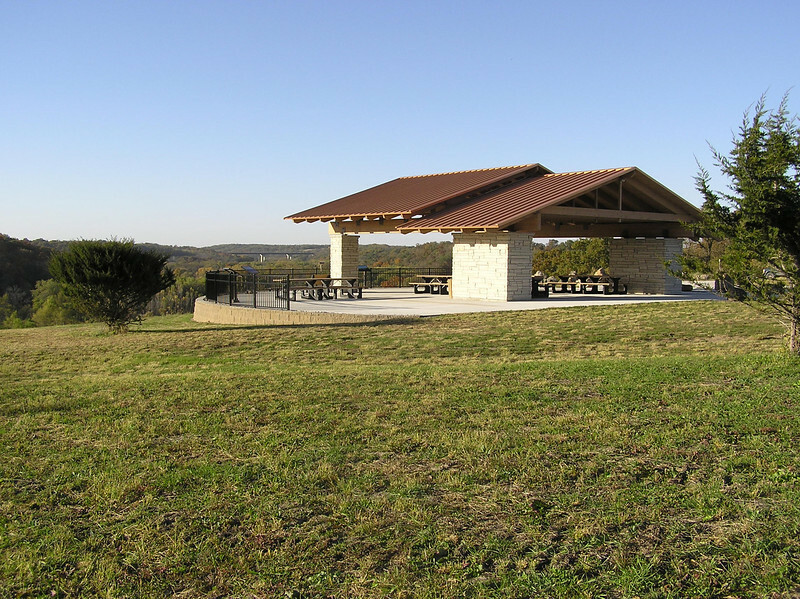 The project included the construction of an open air structure, binocular viewers, restrooms, interpretive panels, parking, sidewalks, and a picnic area. The Sac and Fox Overlook area is found 1 mile North of Steamboat Rock and is accessible from county road S56.